Invitation to Meet Officers in the Valley Area Command. Don’t like coffee? 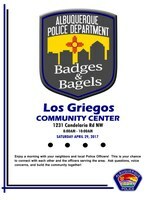 – Instead of Coffee with a Cop, come have a Bagel with those who wear the Badge! 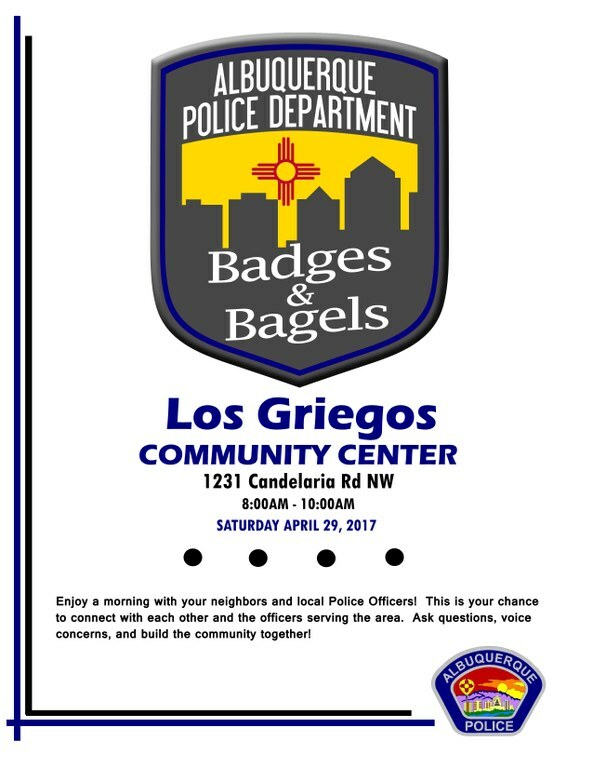 What: Come have a free bagel and meet the some of the Albuquerque Police Officers who work in the Valley Area Command. Enjoy a morning with your neighbors and police officers. This is your chance to connect with each other, ask questions, voice concerns and share in some fellowship and community building.